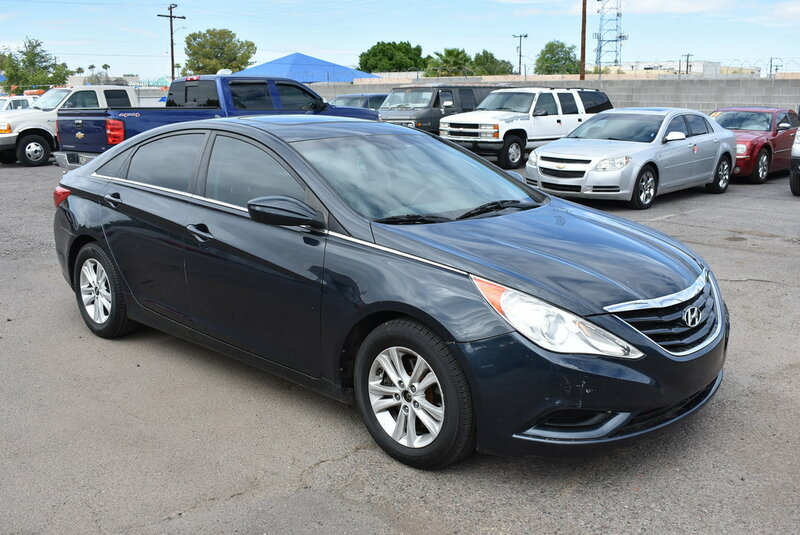 Refined and elegant, our 2011 Hyundai Sonata GLS greets you with all of the power and features you demand! This Front Wheel Drive sedan is powered by a 2.4 Liter 4 Cylinder that is perfectly paired with a smooth-shifting Automatic. You'll score near 35mpg on the highway and enjoy a composed, yet spirited ride that you'll look forward to each day! Check out our pictures and you'll see all the features one would expect. Key-less entry, air-conditioning, cruise control, full power accessories, heated side view mirrors, a tilt-and-telescoping steering column, a trip computer, and a 60/40-split rear seat back are just a few amenities. You'll also enjoy a six-speaker stereo with CD/MP3 player, satellite radio, iPod/auxiliary audio jacks and steering-wheel-mounted controls as you stay safely connected via Bluetooth. Our Sonata is equipped with great safety features as well. Safe, stylish, reliable and efficient, this is a superb choice! Print this page and call us Now... We Know You Will Enjoy Your Test Drive Towards Ownership!